Today is Independence Day in several countries: North Korea, South Korea, India, and Congo. That marks this date as of major significance in what has come to be called post-colonialism, the time of liberation of colonial nations from their imperial overlords. The Second World War was the great watershed event. After the war, Britain, reluctantly, started divesting itself of its imperial holdings, and Japan did so forcibly. 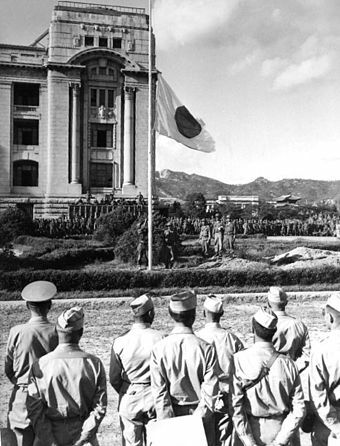 Japan gave up Korea on this date, because this is the date Japan surrendered to the allies (or yesterday depending on your time zone). Today is called V-J (victory over Japan) Day in Britain, similar to V-E Day earlier in the year when Germany surrendered. V-J Day was very important because British and Commonwealth forces were still fighting in the Pacific after Germany surrendered, but the celebrations were more muted in Britain because the nation was not under imminent threat from Japan in the way it had been from Germany. 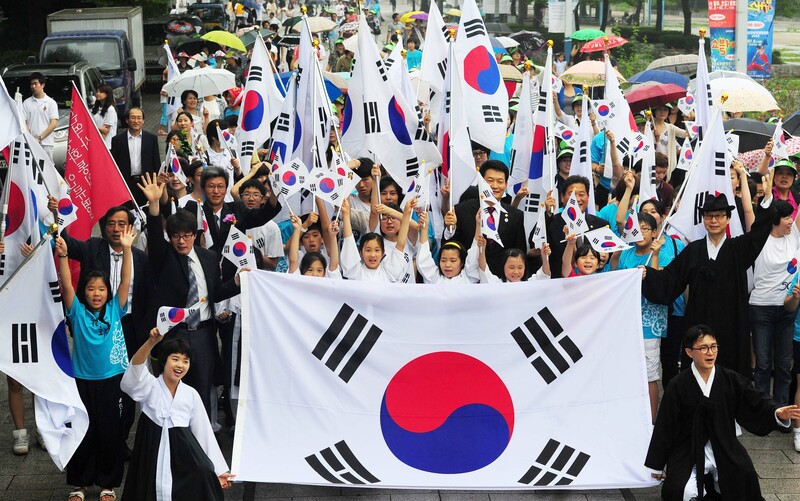 The National Liberation Day of Korea is celebrated annually on August 15th in both North and South Korea (the only shared national holiday). It commemorates the day when U.S. and Soviet forces ended the decades-long Japanese occupation of Korea. 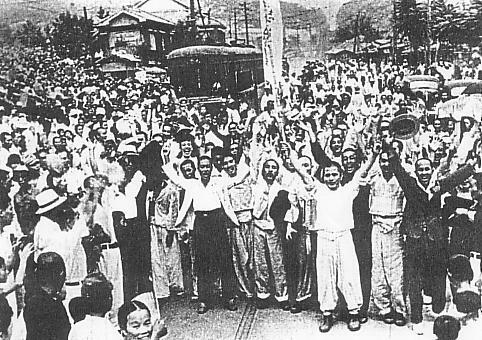 In South Korea it is known as Gwangbokjeol (광복절; literally, “the day the light returned”), and in North Korea it is known as Chogukhaebangŭi nal (조국해방의 날; literally, “Liberation of the Fatherland Day”). After the Korean Peninsula was liberated by the Allies in 1945, independent Korean governments were created three years later, on August 15, 1948, when the pro-U.S. Syngman Rhee was elected first President of South Korea and pro-Soviet Kim Il-sung was made first Leader of North Korea. In South Korea, many activities and events happen during the day, including an official ceremony with the president in attendance that takes place at the Independence Hall of Korea in Cheonan or at the Sejong Center for the Performing Arts. 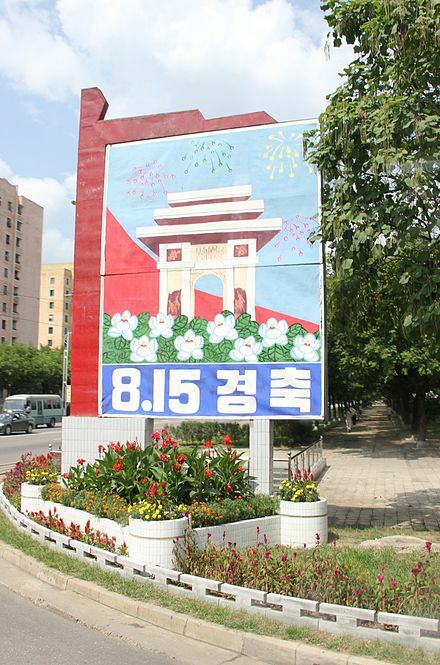 All buildings and homes are encouraged to display the South Korean national flag Taegukgi. Not only are most public museums and places open free of charge to the descendants of independence activists on the holiday, but they can also travel on both public transport and intercity trains for free. The official “Gwangbokjeol song” (광복절 노래) is sung at official ceremonies. The song’s lyrics were written by Jeong Inbo (정인보) and the melody by Yoon Yongha (윤용하). The lyrics speak of “to touch the earth again” and how “the sea dances”, how “this day is the remaining trace of 40 years of passionate blood solidified” and to “guard this forever and ever.” The government traditionally issues special pardons on Gwangbokjeol. Independence Day is annually celebrated on 15th August, as a national holiday in India commemorating the nation’s independence from the United Kingdom on 15th August 1947, the UK Parliament passed the Indian Independence Act 1947 transferring legislative sovereignty to the Indian Constituent Assembly. India still retained King George VI as head of state until its transition to a full republican constitution. 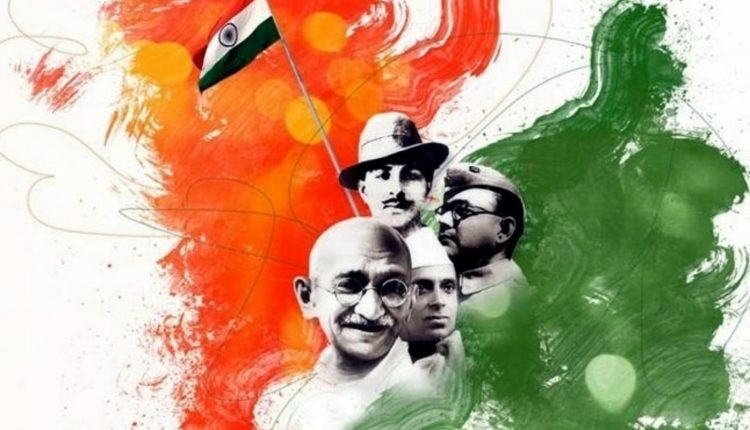 India attained independence following the Independence Movement noted for largely non-violent resistance and civil disobedience led by the Indian National Congress (INC). Independence coincided with the partition of India, in which the British India was divided along religious lines into the Dominions of India and Pakistan. The partition was accompanied by violent riots and mass casualties, and the displacement of nearly 15 million people due to religious violence. Millions of Muslim, Sikh and Hindu refugees trekked the newly drawn borders in the months surrounding independence. In Punjab, where the borders divided the Sikh regions in halves, massive bloodshed followed; in Bengal and Bihar, where Mahatma Gandhi’s presence assuaged communal tempers, the violence was mitigated. In all, between 250,000 and 1,000,000 people on both sides of the new borders died in the violence. While the entire nation was celebrating Independence Day, Gandhi stayed in Calcutta in an attempt to stem the carnage. On 14th August 1947, the Independence Day of Pakistan, the new Dominion of Pakistan came into being; Muhammad Ali Jinnah was sworn in as its first Governor General in Karachi. 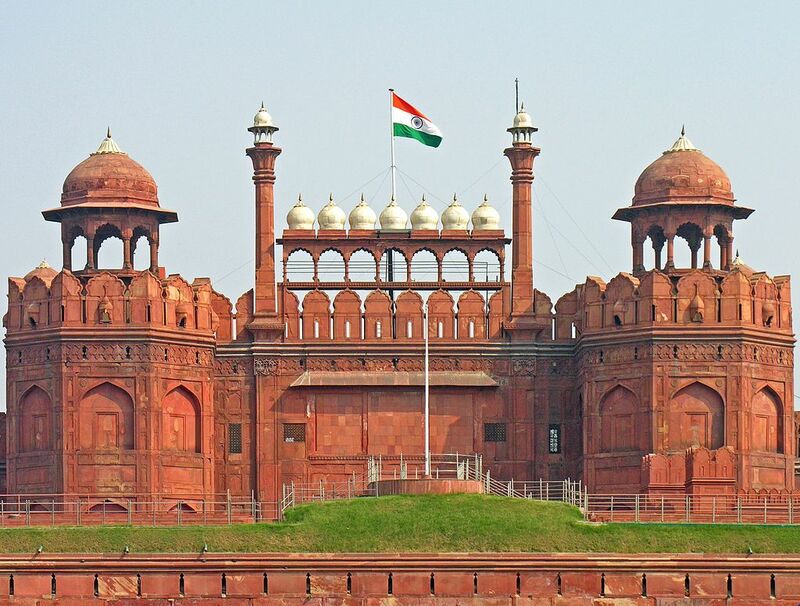 On 15th August 1947, the first Prime Minister of India, Jawaharlal Nehru raised the Indian national flag above the Lahori Gate of the Red Fort in Delhi. Independence Day is one of the three national holidays in India and is observed in all Indian states and union territories, as well as the Indian diaspora. On the eve of Independence Day, the President of India delivers the “Address to the Nation.” On 15th August, the Prime Minister hoists the Indian flag on the ramparts of the historical site of Red Fort in Delhi. A 21 gun salute is fired in honor of the occasion. In his speech, the Prime Minister highlights the past year’s achievements, raises important issues and calls for further development. He also pays tribute to the leaders of the Indian independence movement. The Indian national anthem, “Jana Gana Mana”, is sung. 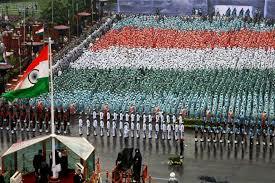 The speech is followed by march past of divisions of the Indian Armed Forces and paramilitary forces. Parades and pageants showcase scenes from the independence struggle and India’s diverse cultural traditions. Similar events take place in state capitals where the Chief Ministers of individual states unfurl the national flag, followed by parades and pageants. Flag hoisting ceremonies and cultural programs take place in governmental and non-governmental institutions throughout the country. Schools and colleges conduct flag hoisting ceremonies and cultural events. Major government buildings are often adorned with strings of lights. In Delhi and some other cities, kite flying adds to the occasion. National flags of different sizes are used abundantly to symbolize allegiance to the country. 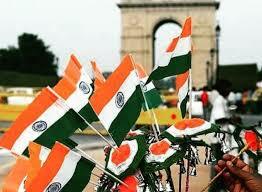 Citizens adorn their clothing, wristbands, cars, household accessories with replicas of the tricolor. Over time, the celebration has changed emphasis from nationalism to a broader celebration of all things Indian. Today is Independence Day in the Republic of Congo, marking independence from France on 15th August 1960. The Republic of Congo is also informally called Congo or Congo-Brazzaville. 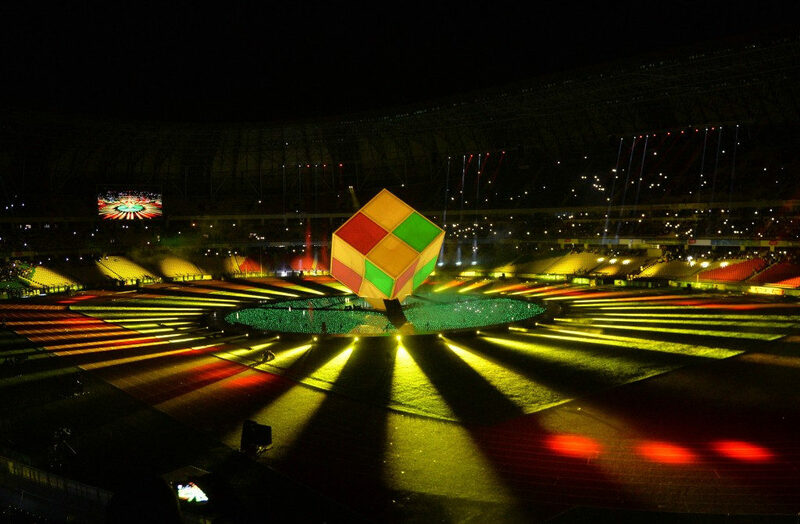 It is located on both sides of the equator, and its neighbors are Gabon , Cameroon , the Central African Republic , the Democratic Republic of Congo (from which it is separated, in part, by the Congo River and the Ubangi), and Cabinda ( Angola ). The Republic of Congo is often called “Congo-Brazzaville” to distinguish it from the other Congo, officially named “Democratic Republic of Congo,” informally called “Congo-Kinshasa”. French involvement in Congo began in the 1870s with Pierre Savorgnan de Brazza. He reached the Congo in 1879 going up the course of the Ogoué, to the mouth of the present island of Mbamou. In 1880, he signed a treaty of sovereignty with Makoko, the king, Tékés in Mbé (100 km north of Brazzaville), and founded the post of Mfoa, named after the river that serves the city. Later it was renamed Brazzaville . At the same time, Lieutenant Cordier explored the region of Kouilou and Niari, and signed a treaty with king Maloango that recognized the sovereignty of France over the Kingdom of Loango, and he, in turn, founded Pointe-Noire in 1883. In 1885, Congo became one of the four states of French Equatorial Africa, with Brazzaville as the capital. 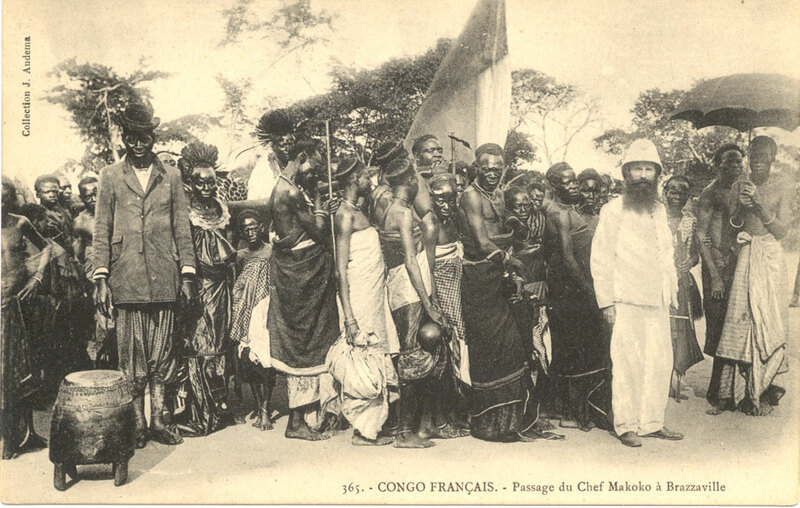 The colony of French Congo was created in 1891, with the current Gabonese territory part of it until 1904. From 1899, the territory was ceded to concession companies, which paid tax to the French administration. These companies mainly exploited rubber on thirty-years contracts for huge tracts ranging between 200,000 and 14 million hectares. These companies paid 15% of their profits as taxes to the French government. Apart from rubber, the companies exploited sugar, ivory, and precious woods. The main defender of this economic system was Eugène Étienne, then Under-Secretary of State for Colonies. Another Under-Secretary of State for the colonies, Théophile Delcassé , secretly granted, without official publication of the contracts, a concession of 11 million hectares (that is one-fifth the area of France), located in Haut-Ogooué . Then, from March to July 1899 , the Colonial Minister Guillain granted, by decree, 40 more concessions. Many dealer companies were in the hands of numerous shareholders, including Leopold II of Belgium who bought shares under a false name. This fact, discovered after the death of the king, shocked the French authorities of the time, who did not realize that their colony was being exploited by a foreign country. It’s a general rule: mobsters don’t like other mobsters horning in on their turf. In 1926 , André Matsoua founded a “friendly” group to help skirmishers (veterans who participated alongside the French army in the First World War) in their fight for independence from France. Because of the harsh conditions of exploitation of the colony, nationalism had rapidly spread in the Congo. This friendly group soon developed into a protest movement. The colonial administration was concerned, and incarcerated Matsoua, who died in prison in 1942, under suspicious circumstances. The movement then turned into a church that recruited members from indigenous people. 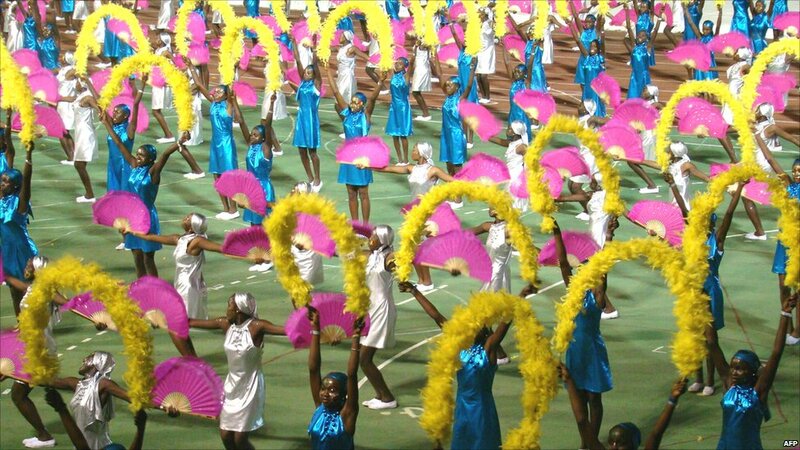 Congolese nationalism took firmer shape after the Second World War. On October 21st, 1945 Congolese elected the first Congolese deputy, Jean-Félix Tchicaya, to the Constituent Assembly in Paris. In 1946, he founded the Congolese Progressive Party (PPC), the Congolese section of the African Democratic Rally (GDR). 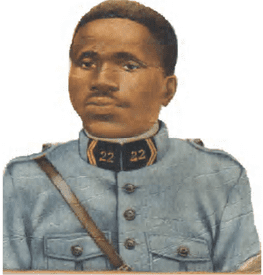 Tchicaya was opposed by Jacques Opangault, but both were challenged by Father Fulbert Youlou, founder of the Democratic Union for the Defense of African Interests (UDDIA). Youlou won in the municipal elections of 1956. In 1958 a referendum on the French Community got a 99% “yes” vote for independence in the Middle Congo. The Congo became an autonomous republic, with Youlou as prime minister. In 1959, unrest erupted in Brazzaville and the French army intervened. Then on August 15th, 1960 Congo gained independence from France as the Republic of Congo, with Youlou elected as the first president. For a recipe for today you could choose Korean, Indian, or Congolese. Within Indian cuisine alone you have a mountain of choices; Korean also. 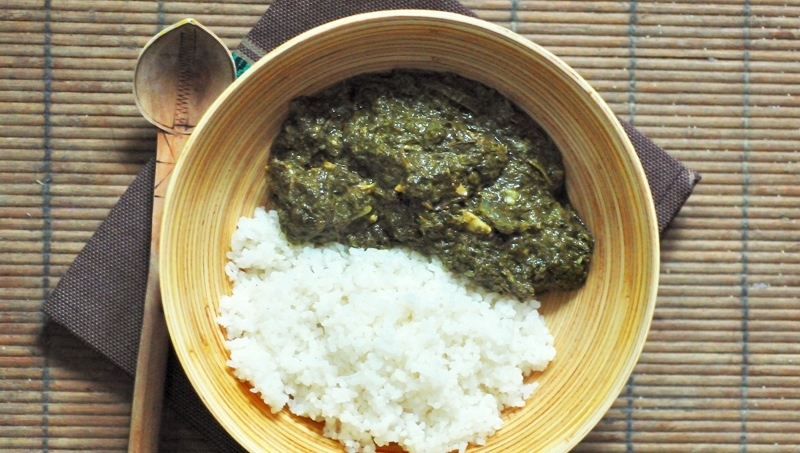 Because I have been a bit light on African recipes I will give you Congolese saka-saka (boiled cassava leaves), and to express my independence from the tyranny of conventional recipes, I’ll talk you through it. Start with enough cassava leaves to fill a big pot. Remove the stems and cut or tear them into pieces. Traditionally the leaves would be mashed and crushed in a large mortar. You can improvise with a rolling pin or a wooden mallet, but do not use a food processor. Place the greens in a large pot, top with water, and bring to a rolling boil. Cook for at least an hour, preferably two. Meanwhile prepare the other ingredients. Peel and chop an onion and a clove of garlic. Deseed and chop a green bell pepper. Peel and eggplant, remove the seeds, dice, and cover with salt in a ceramic bowl. You will also need a piece of dried or smoked fish, and a few tablespoons of oil. Palm oil is traditional, but if you cannot find palm oil from sustainable sources, use vegetable oil. Add all the remaining ingredients to the greens and bring to a boil, then reduce the heat and simmer for several hours. Do not stir. Simmer until the water is mostly gone and the greens are cooked to a pulp. Serve with rice, and a meat dish if you wish.